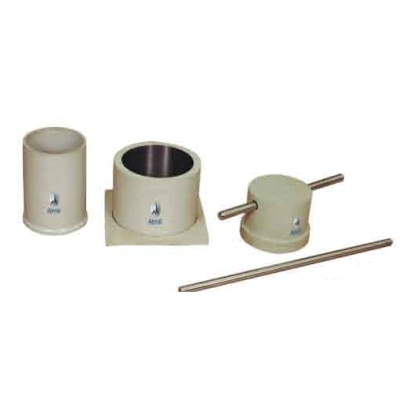 This apparatus is used for measuring resistance of an aggregate to crushing as per IS:2386. 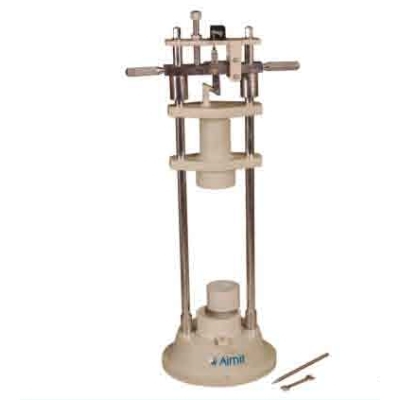 The sturdy construction consists of a base and support columns to form a rigid framework around the quick release trigger mechanism to ensure an effective free fall of the hammer during the test. The free fall can be adjusted through 380 +/- 5mm. This hammer is provided with a locking arrangement.